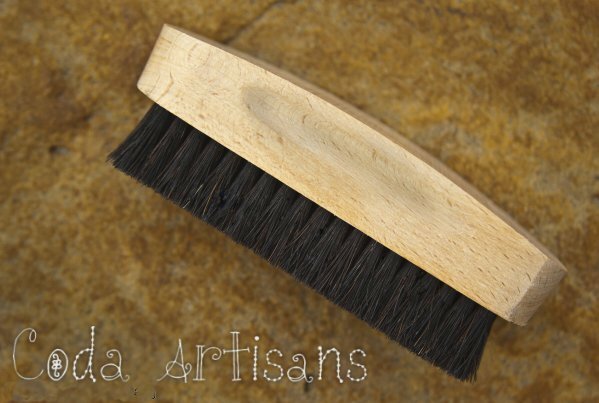 Made in the USA by a small family owned brush company, this horsehair brush is designed especially for furniture so it won’t scratch. Get better results with less effort. Shorter, denser bristles for more sheen. Buffing can be the most labor intensive part of the furniture finishing process when doing wax finishes. 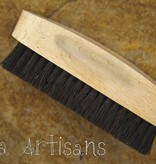 What can take several minutes of vigorous rubbing with a cloth can be accomplished in seconds with this brush. A favorite tool for us and a “must have” for every kitchen cabinet project!